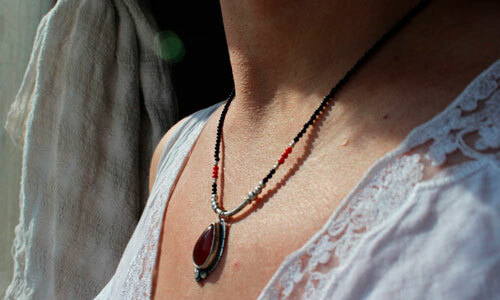 Garance is a French name which origin comes from a plant. 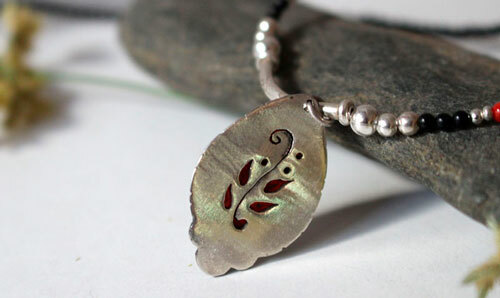 The root of this plant is used to get a red dye. 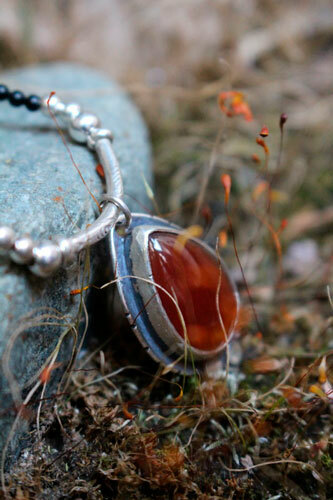 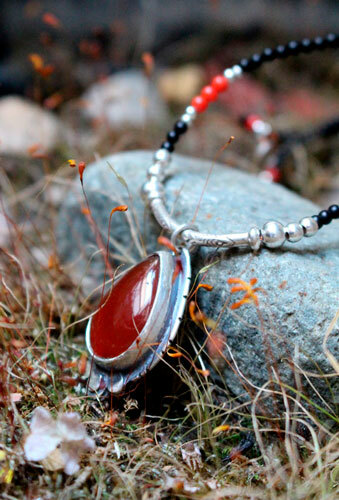 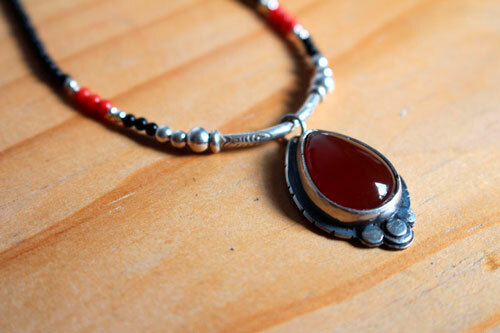 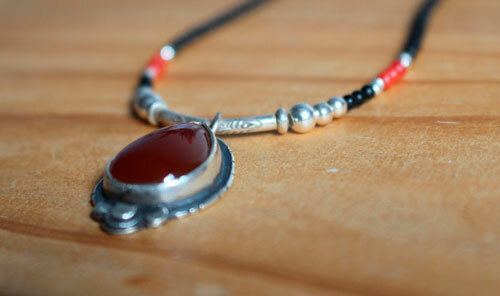 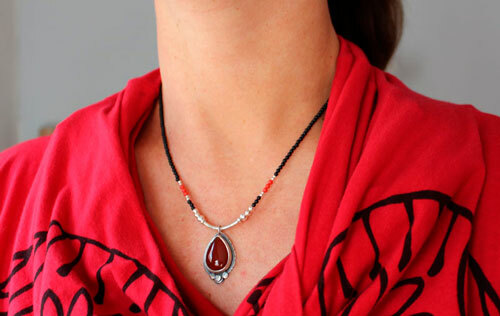 I thought this name perfectly suited this silver necklace which shows a carnelian cabochon in the shape of a teardrop. 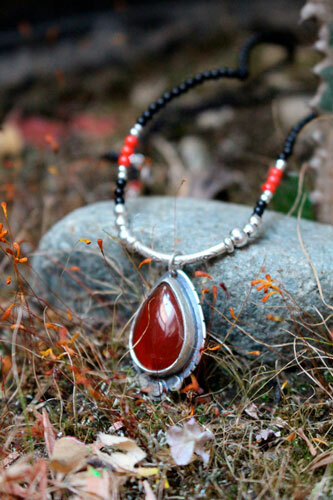 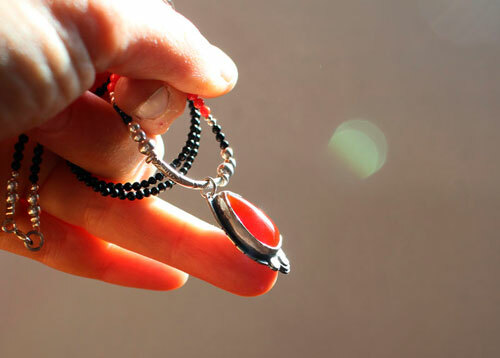 The necklace is made of coral beads, black agate beads and sterling silver beads. 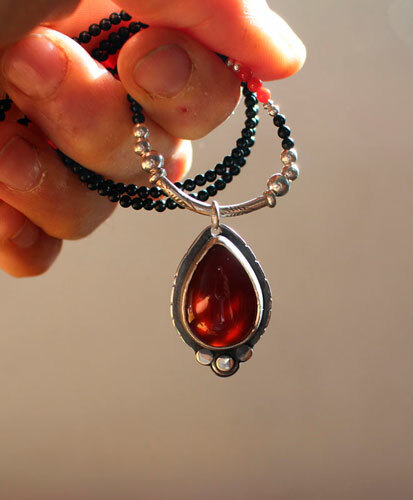 The back of the pendant was hand sawed with a vegetal pattern which allows light to go through the stone. 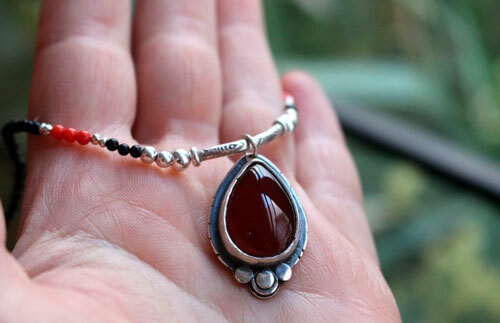 The pendant is 2.8 cm high. 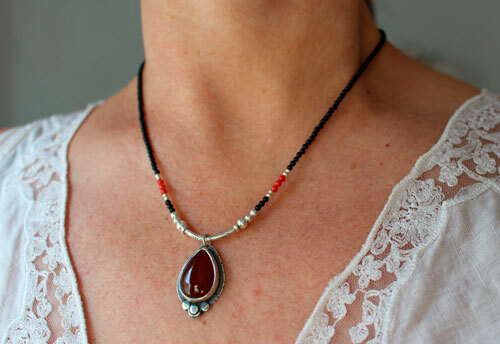 Tag: necklace, sterling silver, carnelian, red, coral, agate, black, boho, delicate, romantic, symbol, wedding, engagement, baptism, wedding anniversary.